Why Marvel Netflix Shows Work So Well | Nerd Much? Days two through five: binge savagely. Six agonizing months later: rinse and repeat. Of all the vicious cycles there are, this one is probably my favorite. Not because I give up a week of my life, but because it signals the release of one of the newest Marvel Netflix shows. With the release of Luke Cage last week, the cycle has started again. This got me thinking, not only about why the more mature Netflix outings of Marvel characters are so consistently great, but why they’re arguably the best superhero media being released today (this being from someone who is giving up on Marvel’s film side of things too). Luckily, these shows share at least five things in common that make them all such a worthy super obsession. God, what a difference a medium makes. If there’s any great example of what Marvel’s Netflix shows excel at (while practically shaming the film side) it’s the villains. Yes, having 13 hour-long episodes to develop a character can’t be held to the same standard as a two-hour film. But the fact remains that two Netflix shows boast two of the greatest comic book villain portrayals across any medium. Vincent D’Onofrio’s portrayal of Wilson Fisk/Kingpin in Daredevil is spectacular. 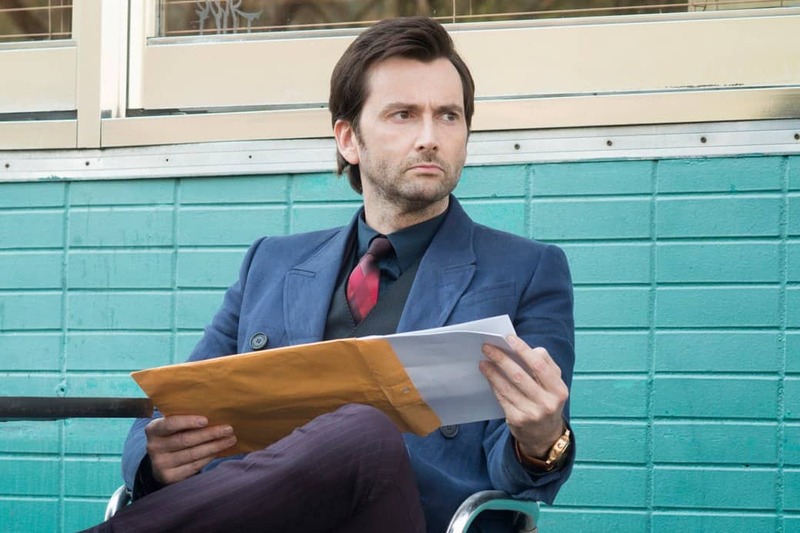 So is David Tennant’s take on Kilgrave/Purple Man in Jessica Jones. And it’s not just because they have big names playing them. The showrunners understand that having a great foil makes all the difference. Each villain is crafted as a multi-layer, human element of the show. We understand them and maybe even root for them, despite being repulsed by their actions. At the very least, we always look forward to the next scene they are in. To be fair, the biggest weakness of Daredevil‘s second season was the lack of a strong antagonist (though it did have a strong anti-hero in Frank Castle). Plus, I’m worried about where they’re going with the villain in Luke Cage, having only just started the second half. But if hitching your wagon to a great villain is seen as a weakness, well, keep that weakness coming! Opening credits are a lost art. Audiences are so eager to get on with it that it’s easy to forget the role an opening title provides. That’s why it’s so refreshing to see these shows open every episode with main title sequences. Wait, did I say main title sequences? I meant terrific main title sequences. There was a chance when Daredevil premiered in 2015 that your average viewer didn’t know what they were in for. The blood-red liquid flowing down structures in New York — and, finally, the Man Without Fear himself — in the opening spelled it out loud and clear. 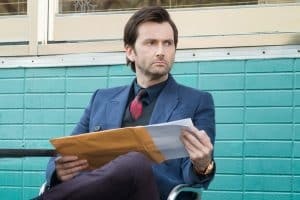 People unfamiliar with the world of Jessica Jones were introduced to the subject with a stylish, neo-noir opening full of high contrast, dark alleys and a bitchin’ theme. Such a bitchin’ theme. The opening for Luke Cage continues this great trend by overviewing our new Harlem setting, letting us know that the community is going to be even more integral to this series, and that the show is going to be rich with a soulful tone and respect. Just one Marvel/Netflix season usually manages to get done what the company’s whole film side can’t bring itself to do: be fulfilling. In 13 episodes, we get a rock-solid pilot to set things up, heaping helpings of character moments, memorable action bits, plenty of twists and turns, and a perfectly built-up finale that closes the door on what it needs to, but tastefully leaves room for another season. Some may bemoan that episodes can sometimes go without an action scene, but these shows always put character first and never feel boring. Besides, it’s only when Daredevil starts fighting endless hordes of faceless ninjas every episodes that season in particular started to feel long. It may have seemed risky for Marvel to make their Netflix shows with a mature rating in mind, but in hindsight it was the best thing they could have done. On one hand, the stories can explore some very serious themes like faith, vigilantism, sexual assault, post-traumatic stress disorder, and the breakdown of families in black communities — all in a really satisfying and respectful way. On the other hand, it also allows for the bone-crunching, untamed violence that the source material calls for. As a result, the shows come off as completely free in the stories they want to tell and don’t feel like they have to tame themselves to hit multiple demographics and sell toys. It’s reason number one that creative minds are moving away from film to television. Okay, let’s not kid ourselves, the masterful single-take hallway shot in the second episode of Daredevil is the moment we knew we were in for something truly special. And while nothing has quite topped it, there’s been at least one amazing action sequence since that moment that has matched it, letting us know we can alway look forward to what happens when our heroes are in confined spaces. 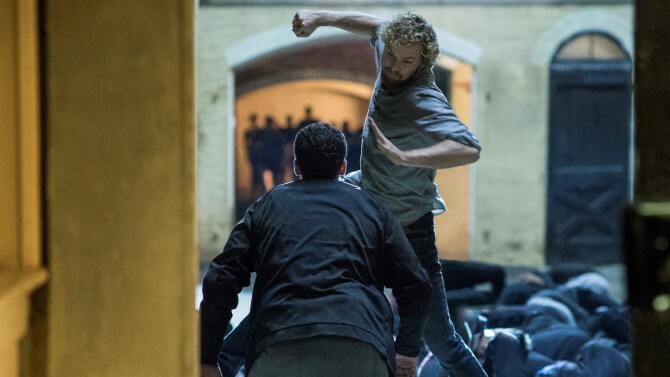 Netflix just announced that it’s next Marvel series, Iron Fist, will debut March 17, 2017. 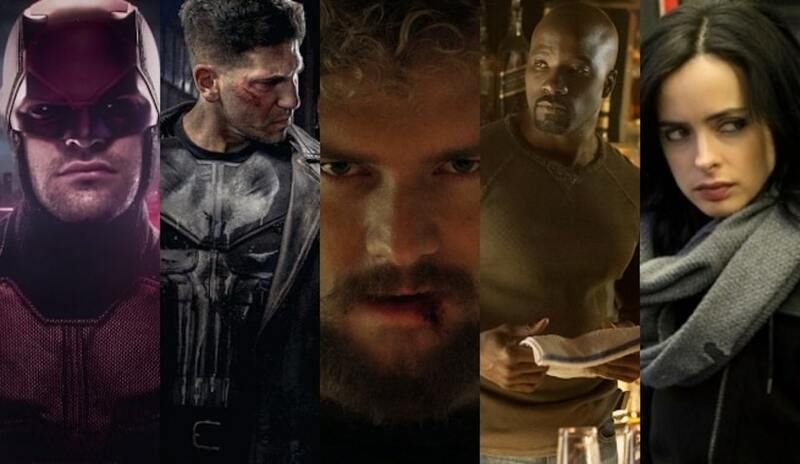 The last piece of the puzzle before our main troupe of heroes teams up for The Defenders, Iron Fist delves much more into the mysticism and martial arts that we’ve seen in Daredevil thus far. … Daredevil may be getting a run for its money. Now all we need to do is survive the wait.